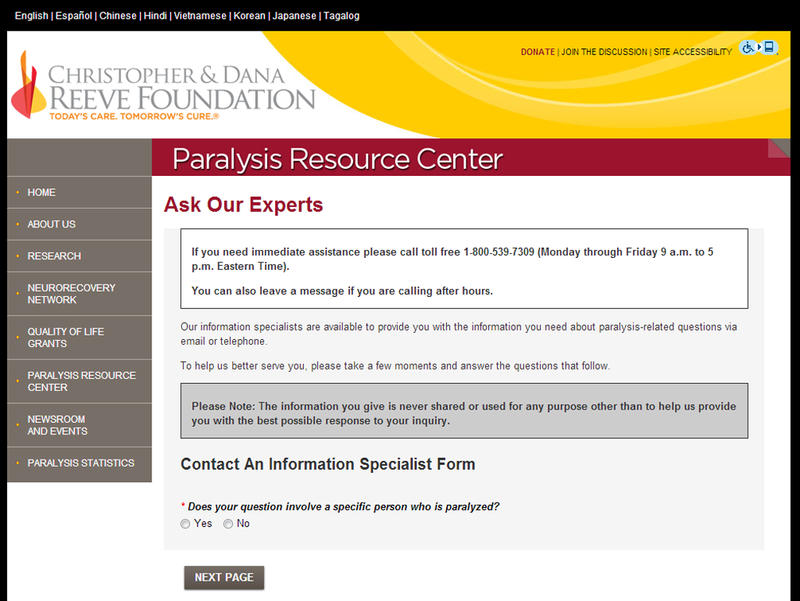 The Paralysis Resource Center at the Christopher & Dana Reeve Foundation hired Imagistic to reverse engineer their existing CRM and rebuild the entire application from the ground up. 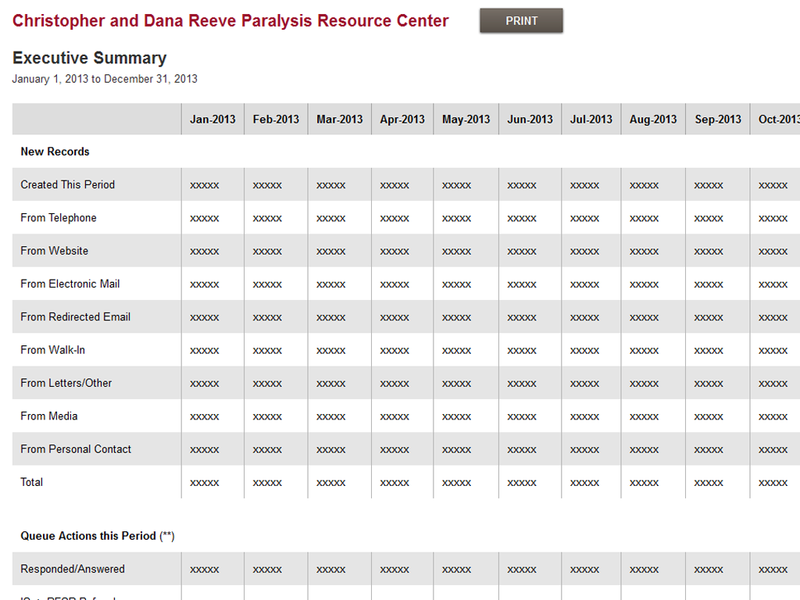 Imagistic worked with the entire staff of the Paralysis Resource Center to rebuild, from the ground up, their internal / external client management system. The project included reverse-engineering the existing application, reviewing and clarifying updated stakeholder requirements, a complete and loss-less data migration, information architecture, graphic design, systems design and application development. Developed iterations of business requirements to meet a final set of priorities and budget. Reverse-engineered existing application with no documentation to clarify existing business rules. Delivered extensive information architecture, system flow chart, page level wire frames, and functional specifications. Deployed an easy-to-use administration system that enables staff to easily manage their client workflow. Performed a loss-less data migration from a Microsoft SQL Server database to a normalized MySQL database and structure. 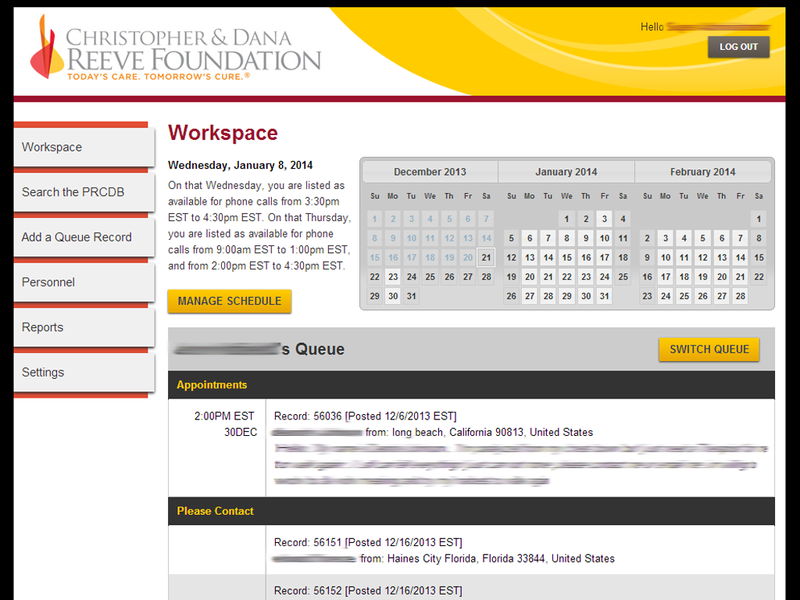 Improved client user-experience streamlining data input and decreasing potential entry errors. Since its founding in 1982, the Reeve Foundation has been dedicated to curing spinal cord injury by funding innovative research, and improving the quality of life for people living with paralysis through grants, information and advocacy. 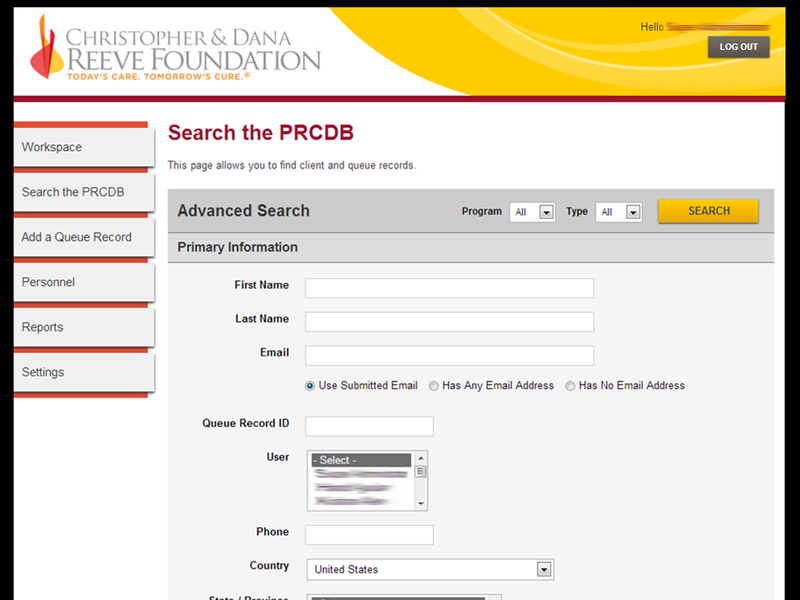 The Reeve Foundation's Paralysis Resource Center (PRC) promotes the health and well-being of people living with a spinal cord injury, mobility impairment, and paralysis by providing comprehensive information, resources and referral services.